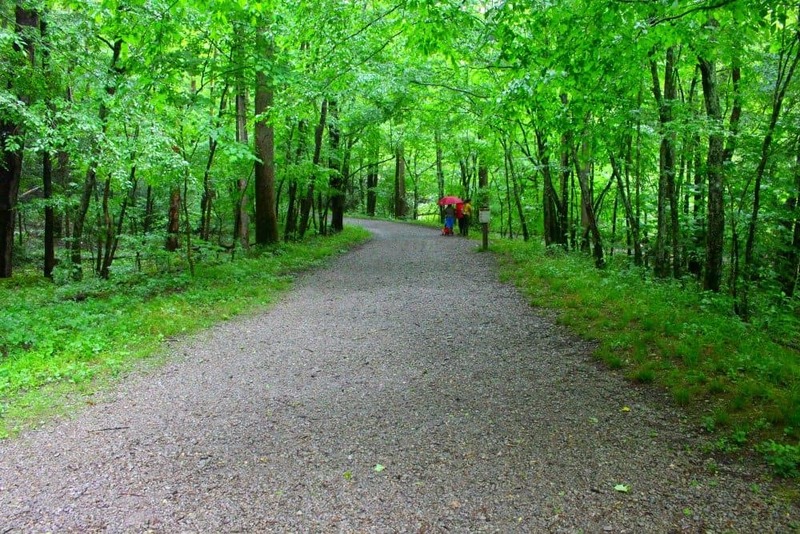 Schoolhouse Gap trail in Townsend, TN is wide and gently sloping. 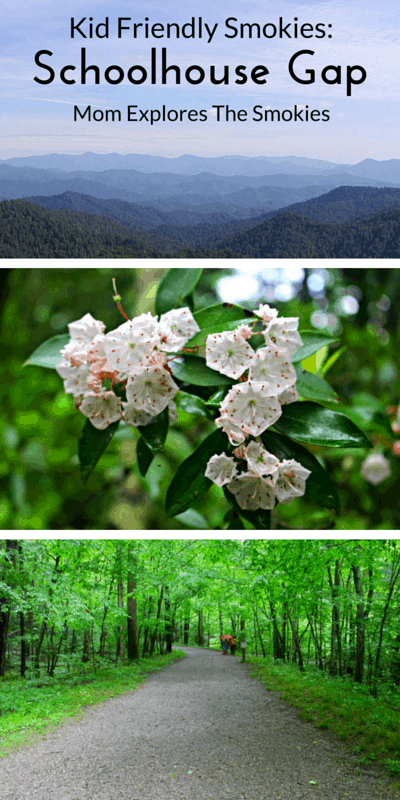 There are no steep drops on either side, which makes it one of the most perfect hikes for families in the Smoky Mountains. Of course, each family has its own unique needs. You know your family best, and are ultimately responsible for discerning the safety and appropriateness this hike. Please read our full disclaimer here. For my family, hiking this trail turned out to be more of an adventure than we were hoping. We parked in the wrong place and, although we thought we were headed down the correct path, (becasue the sign clearly said Schoolhouse Gap Trail) we were actually on Turkeypen Ridge trail. Turkeypen Ridge, while not the most strenuous, is certainly not the most kid friendly. It is also substantially longer at 3.6 miles one way compared to Schoolhouse Gap’s 2.2. Because I care about your well being, I would like you to take a close look at this trail sign. 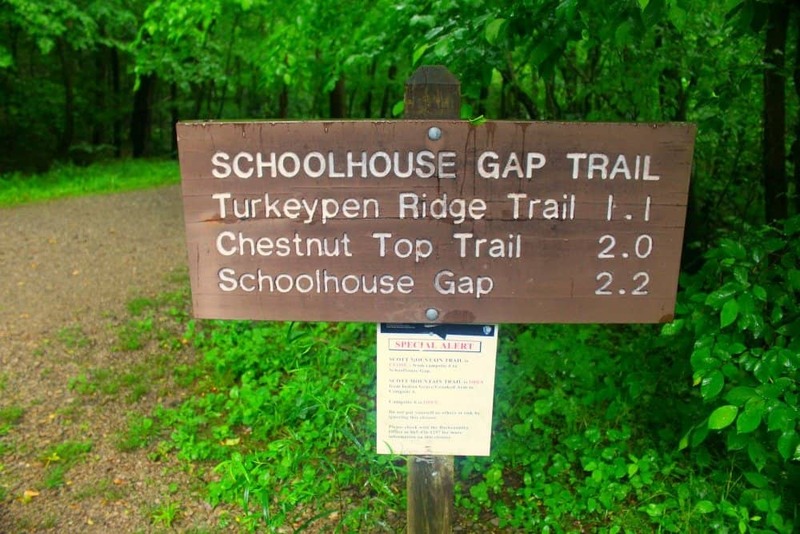 If this is not the exact sign that you are seeing when you enter the trail, your are NOT at Schoolhouse Gap. Lesson learned haha! If you are in the correct place, you will be parked in an actual parking lot, not a pull-off. As you enter the trail it will be gloriously wide and flat. Not long after you start walking, you will notice that the trails runs along a peaceful stream, which you will follow the majority of the way. After we completed our hike down Turkeypen Ridge, we eventually made it to where the two trails intersect. This is the exact moment when we first realized that we weren’t previously on our desired path. It only took us 3.6 miles to figure that out. But, such is life! Now that we were on the correct trail, we finally understood what all the fuss was about. This trail is absolutely amazing for kids! The trail is wide enough to walk 3 or 4 people across, if no one is coming down in the other direction. 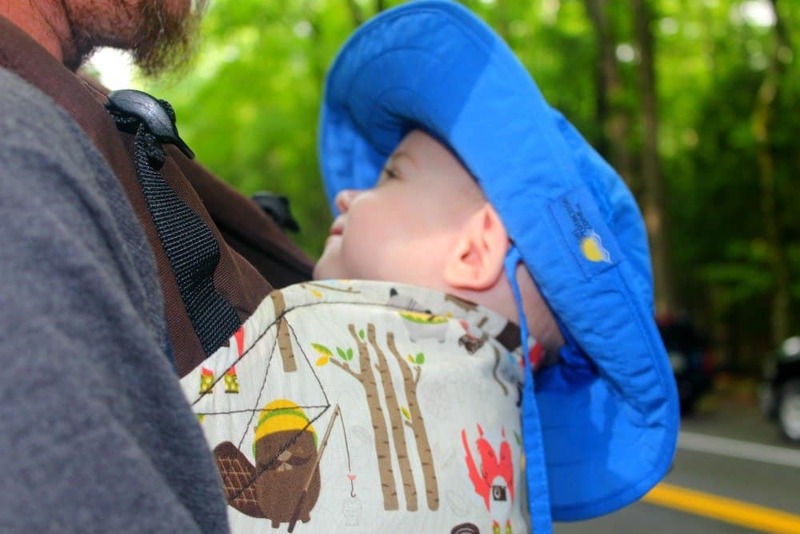 Even better, there is no drop off on either side, which is always a huge concern if you are hiking with littles. While there may be no grand finale, such as a waterfall for rock formation, Schoolhouse Gap trail does allow you to peacefully reconnect with nature while ascending the gently sloping and unassuming path. Just to be clear, there is no schoolhouse. Schoolhouse Gap trail does have one great bonus, if you are in town for spring. In April and early May, this trail is filled with gorgeous wildflowers. Although we missed the peak, we were able to catch a few beauties. 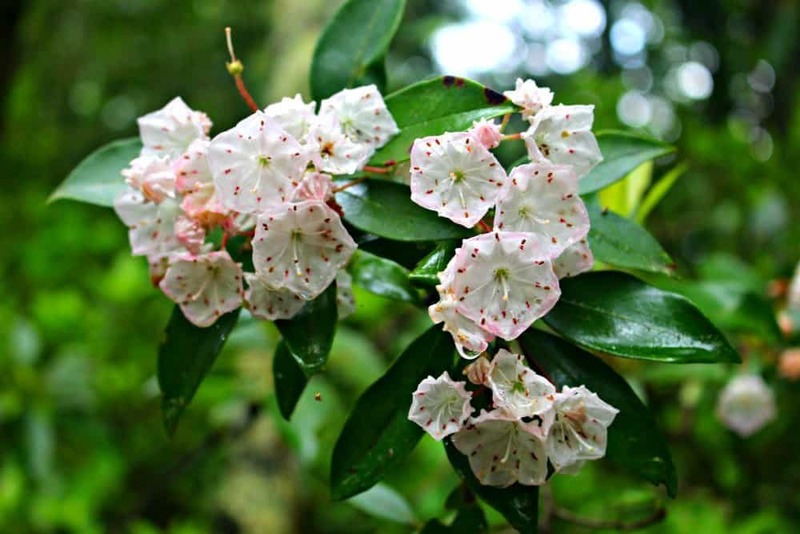 In season you will be able to view over 10 gorgeous varieties including Smoky Mountain favorites, such as trillium, golden aster, rhododendron and mountain laurel. In the summer, you can view additional varieties such as ironweed, and southern harebell. Despite our misstep at the beginning of the day, we had an amazing time making lasting family memories. Isn’t that what it’s all about folks? Wishing the same joy for you and yours. Please check out some more of our awesome local adventures!